We cater for small intimate bush weddings for up to 60 guests with a choice of ceremony locations anywhere on our 1200ha reserve, from the magnificent old fig tree on the open plains, to the mountain top with endless Waterberg views. Any of our beautiful natural surroundings are the perfect backdrop for the ceremony and bridal photo shoot. The quintessential thatched venue and boma with a roaring central fireplace and magnificent night skies offers the perfect reception venue to celebrate your union. At Izintaba in the Waterberg we do not charge for the use of our functions venue, equipment and facilities, only for the accommodation. 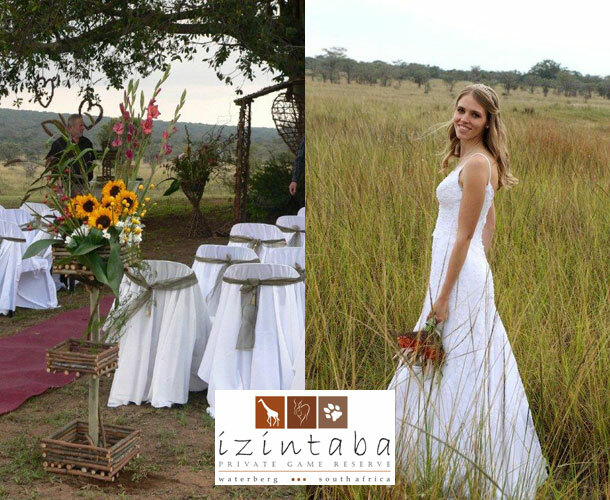 So when you book Izintaba for your exclusive use, you and your guests will have sole access to the game farm and all of our facilities, without any restrictions or cut-off times for your special day. Izintaba promises you the perfect setting for the most romantic bush wedding, complimented by luxurious accommodation for 46 guests, where your safari style wedding will be a celebration of love and lasting memories. 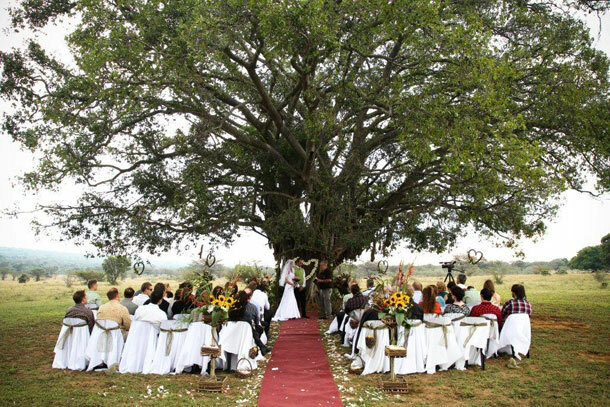 If you would like your wedding to be an intimate affair under the old fig tree visit Izintaba Game Farm.